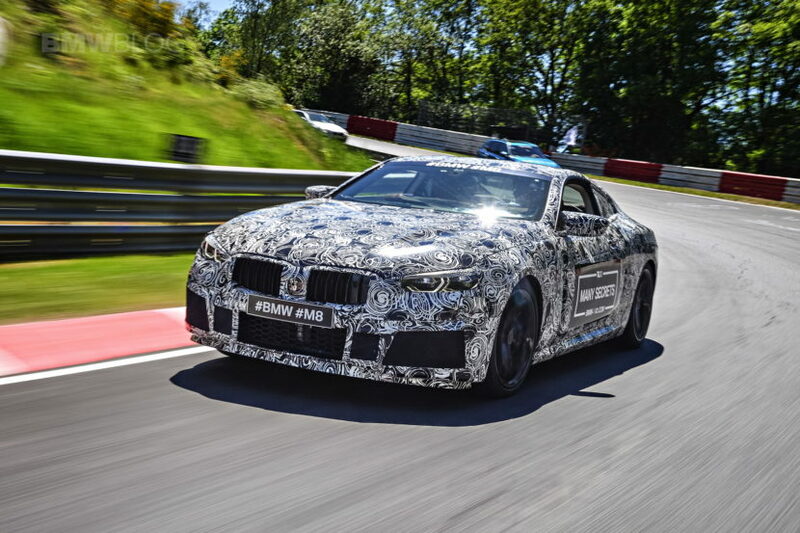 BMW rolled out a pre-production M8 model during the 2017 M Festival held at the Nürburgring, while confirming that an M8 race car is being developed for the 2018 seasons of the United SportsCar Championship and World Endurance Championship. The latter includes the 24 Hours of Le Mans. The M8 pre-prod car was shown with the typical camouflage and very little details were shared at the time. 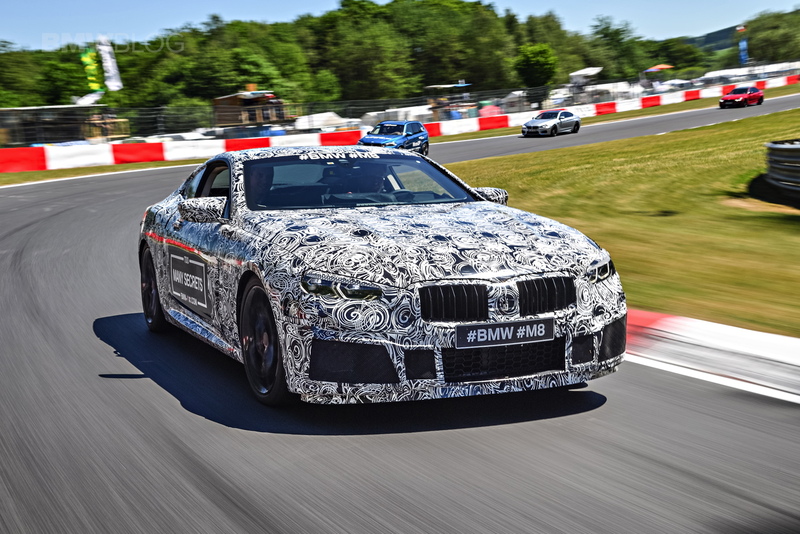 Compared to the BMW Concept 8 Series, the M8 sports larger air intakes, massive brakes, and an exhaust with four tailpipes instead of two refined and hexagonal ones. As seen in the video below, the laser headlights are now exposed and we can see how much wider and more imposing the M8 will be compared to the regular 8er. Under the hood BMW is likely to offer the reworked 4.4-liter twin-turbocharged V-8 debuting this year in the new M5 with a bit over 600 horsepower. Expect the engine to be paired with an 8-speed automatic and the M division’s new M xDrive all-wheel-drive system. BMW will introduce the new M8 in the second half of 2018.